Stop monkeying around with this thread Grant . Stunning photo, full of atmosphere. I guess it is no longer a record store? There's a building near me with a painted sign on the wall for 'Hercules - The Modern Cycle'. Still readable although quite faded now. It's the sort of shot I would have taken to test the resolution/contrast of a lens and/or the resolution and lack of grain of a particular film stock. 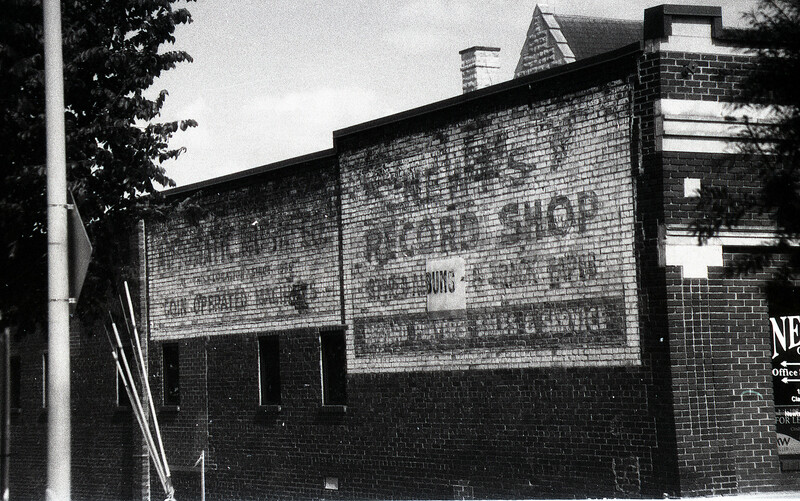 There are so many of these old record shops in the US. I make a point of visiting this place when I am in the area. Knowledgeable staff and good prices. Lot's of US versions of British artists. There is an old butcher shop near me whose sign reads: "Pleased to meet you. Meat to please you". Taken on a roll of super expired Polypan F that resulted in a very thin negative.